It's time for Wednesday Nibbles, your what-used-to-be-weekly dose of fishing and not so fishing crap found all over the web. 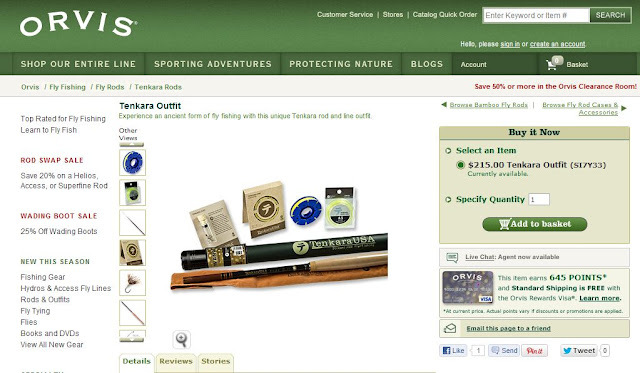 First off...did you know you could buy tenkara rods on Orvis.com now? No...well neither did I until last night. 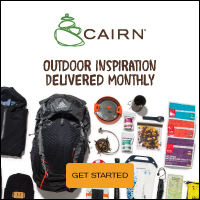 They simply appeared as a magical option in the right hand navigation while shopping the Orvis site. Pretty slick, huh? 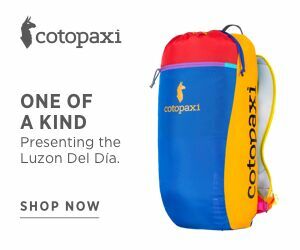 Is this the beginning of tenkara going mainstream? Will Cabela's be private-labeling rods 6 months from now? 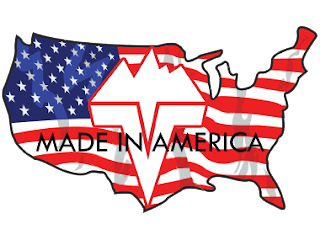 Who knows, but it's pretty big step forward for Tenkara USA and the "legitimization" of the technique/tackle in the U.S.
What next....?? ?...oh, how about the freakin' crazy dude driving this car around the streets of San Francisco. You might have seen this elsewhere this past week, I think I first saw it shared on Google+, but this is so insanely cool, I felt compelled to post it here too. Yes, it's almost 10 minutes long, but it's worth watching. My question is how the hell do you practice this? Want more fishing...oh, I got more fishing. One of the most impressive fish I've seen online this past week was Jason Tucker's (no, not THAT Jason Tucker, THIS Jason Tucker) smallmouth hauled out of what I assume was Northern Michigan waters. Yeah, the smallies don't look like that around here...in shape or color. Even now, I'm still mesmerized just staring at this pic. Huh? I don't know what's going on either, but I bet that clam likes body shots. To close, some blog love. I've done a little fiddling with the blogroll recently, a few blogs fell away due to inactivity, while a few more were added to take their place. Who's new might you ask? 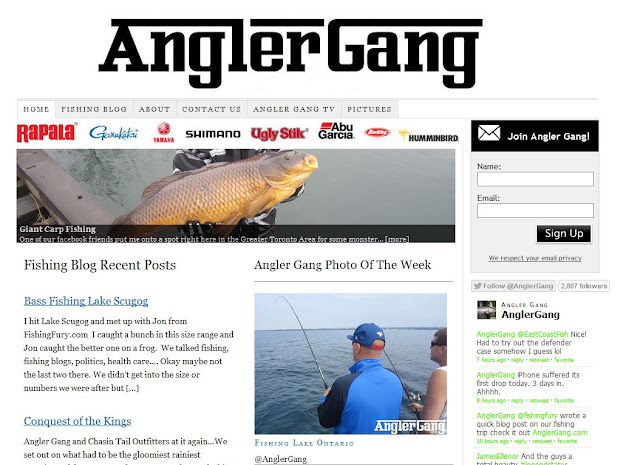 First is Angler Gang. Honestly, this was just an oversight. I've been conversing with Angler Gang on various social media sites for a while now...I just assumed they were in my blogroll. I was wrong. It's been rectified. 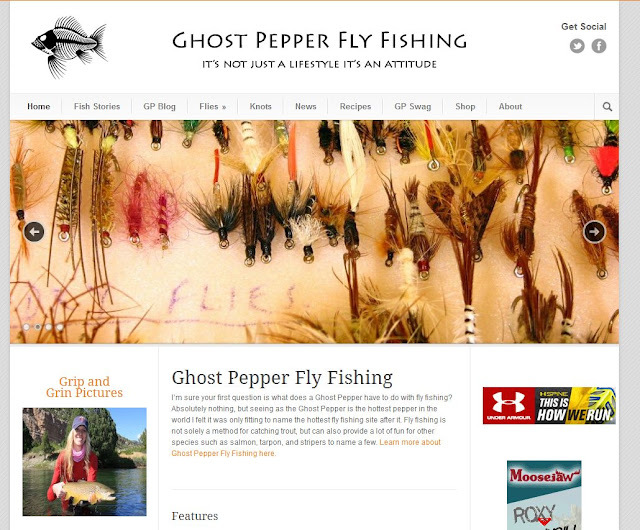 "I’m sure your first question is what does a Ghost Pepper have to do with fly fishing? Absolutely nothing, but seeing as the Ghost Pepper is the hottest pepper in the world I felt it was only fitting to name the hottest fly fishing site after it." I can't help but find it humorous that you were looking for a reel when you saw it. heh. Also, didn't Orvis recently deny they were thinking about selling tenkara or was that someone else? 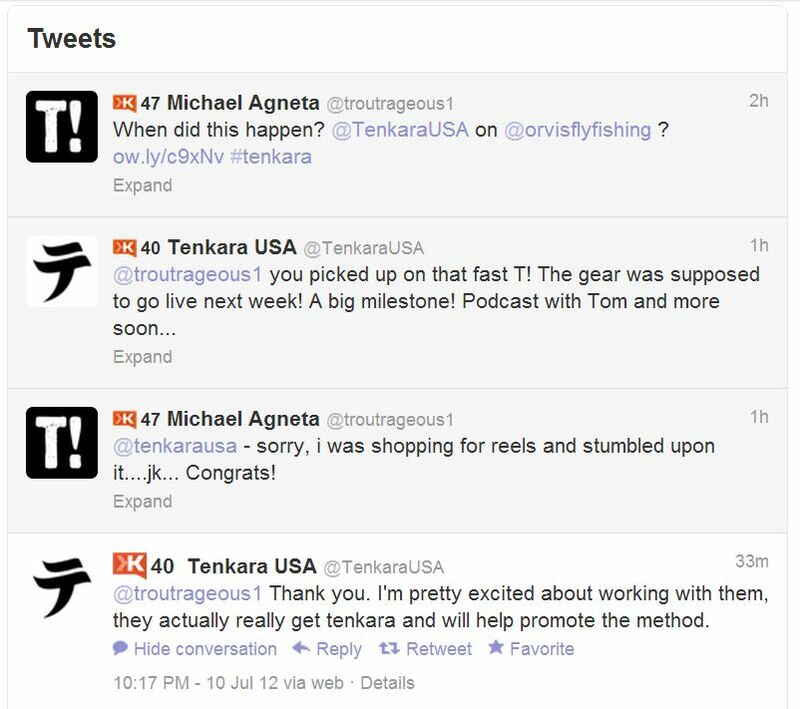 And finally, a huge congratulations to Daniel because I see in the photo that they still say Tenkara USA and not "Orvis." Orvis is bad about taking a product and slapping their name on it like they invented it. I'm sure the creator of whatever gadget they are selling was compensated for that - but it seems dishonest to me. 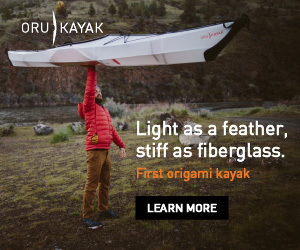 Makes it look like Orvis invented it. They have lots of gadgets they've claimed that way. Glad to see Tenkara USA didn't let them relabel their rods Orviskara. Ha...that reel comment was just made tongue-in-cheek. 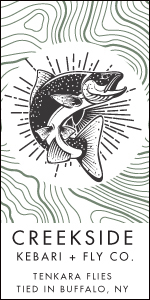 That said, I did stumble on them last night on the Orvis website. 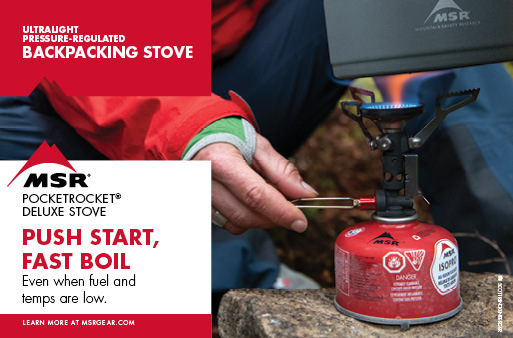 I agree that it's good that Daniel gets to keep branding on the item. So, I get up this morning, make my coffee and start checking out my realm. Oh goody I say, Wednesday Nibbles is up, and what do I find in it? Tenkara on Orvis! It's the death of fly fishing as we know it. Oh, and my fish pic- when they get that big they start to get some personality I guess. 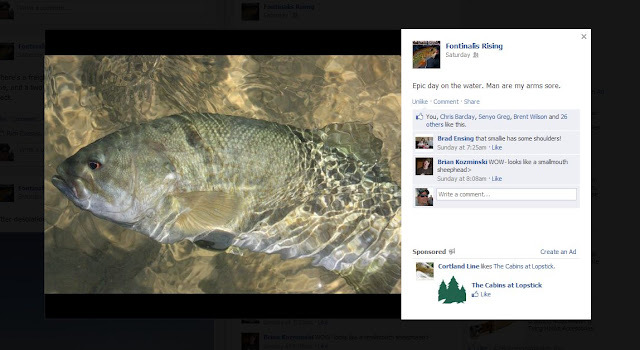 I think this one had spent some time in the Smallmouth Sumo Academy. That's was a pretty smallie. Makes the ones I catch around here look anorexic. The coloration is pretty unique too, guess that's due to the clear water and what looks like sandy bottom? Yeah, the water is super clear, and the bottom ranges from sand to light colored rocks. I found out that day that the fish darken as the sun goes down- how cool is that? Professional driver on closed course. Don't try this at home. Then again, this is not your normal Ford Fiesta.